It is no secret that many people have contemplated bankruptcy due to the financial strain they are facing. A large percentage of people make financial New Year's resolutions and bankruptcy is an option that they have pondered. Consumers assume bankruptcy is their way out of the financial crisis in their household. This may have been the answer prior to 2005; however bankruptcy changed drastically on October 17, 2005. The government lobbied unsuccessfully for 8 years and 3 failed attempts to pass a bankruptcy reform. They succeeded on April 20, 2005 when President Bush signed The Bankruptcy Abuse Prevention and Consumer Protection Act of 2005 into law. The law went into effect on October 17, 2005. The reform was the biggest change to bankruptcy in decades. There are many significant changes listed below that anyone contemplating bankruptcy should be aware of. A financial means test that will be administered to individuals who wish to file Chapter 7. It will make it more difficult for debtors with above their median state income to file a liquidation bankruptcy under Chapter 7. A requirement that all debtors must receive a briefing from an approved credit counseling agency at least six months before they can file. A provision making it easier for a court to dismiss a bankruptcy case completely or to convert a Chapter 7 case to a Chapter 13 case. Tax returns from the last tax year are required. If the filer didn't pay taxes they are ineligible to file. Prior to any debts being discharged, the debtor must participate in a government-approved financial management program. Some of the "automatic stay" protections have been eliminated. Consult with an attorney for more detailed information. If you purchased your vehicle less than two and half years ago, you will be responsible to pay the full amount of the lien off in Chapter 13. On the other hand, if you bought your car more than two and half years off you are only responsible to pay the fair market value of the vehicle. Any past due obligation payment (child support, alimony, etc.) are first priority and the filer must remain up to date on those payments. This reform was finally put into effect for a couple different reasons. Mainly, over the years there had been an increased amount of bankruptcy filings, which in turn cost consumers and creditors a lot of money. For example in 2004, 1.1 million people filed for Chapter 7 which is also referred to as liquidation. The process of Chapter 7 is that all non-exempt items are liquidated and paid to the creditors. Any remaining debts are cancelled leaving the individual the opportunity to start over in the financial world. Sounds like an ideal way out of the financial crisis for a lot of people. However, it comes with some lifetime consequences. Please see below for more details. No minimum or maximum debt is required. Any unpaid balances are discharged after you assets have been liquidated. You can keep any wages you earn or property, except for inheritances, after the bankruptcy filing date. Most cases are completed in 4-6 months. Creditors can no longer contact you once a petition is filed. Foreclosure can be stopped while going through the process to give the debtor time to get their finances in order. Prior to filing the debtor must speak with an approved credit counselor. This action should help to get finances in order to avoid future financial problems. Your non-exempt property is sold. Not all debts are discharged. Co-signers can still be held liable for the debts. Stopping a Chapter 7 is difficult. Will damage your credit rating and bankruptcy is public record. Chapter 7 will be reported for 10 years on your credit report. Any liens on a property cannot be included in the bankruptcy. Filer is responsible for all costs associated with bankruptcy. Certain professions and employers will not hire an employee who has filed for bankruptcy. Debts incurred by fraudulent means. Since the majority of people who file for Chapter 7 don't have that many assets, several creditors or debtors take a loss on the remaining balance. Creditors can't afford to take a loss on millions of dollars per year. Therefore, they tax or increase prices on customers who are meeting their financial obligations. In 2003, the Nilson Report stated that issuers of proprietary and credit cards "lost 18.9 billion in 2002 from consumer bankruptcy filings." It is estimated that a large portion of that loss was made up by taxing consumers. The bankruptcy law also took into consideration how many loopholes were in the current system. People and attorneys were abusing this. There were countless cases where people filed, yet had the ability to pay back part or all of their debts. Many of these filers should not have qualified for Chapter 7, yet they did. Chapter 13 would have been the better alternative; however since there was no law stopping them attorneys allowed them to avoid paying back the debts by filing Chapter 7. Chapter 13 is the route to take when someone is financially able to afford some or all of their debts. In Chapter 13 bankruptcy, the filing party is put on a repayment plan that is up to 5 years. Most fees and interest payments will be reduced or eliminated through this bankruptcy. As with Chapter 7, this type of bankruptcy also has pros and cons which are listed below. Debts that can't be discharged under Chapter 7 can be reduced under Chapter 13. You can file 13 immediately after 7 to discharge any remaining debts. Interest rates on debts can be greatly reduced. You are protected against further action, such as collection efforts and wage garnishment. No limit to how many times you may file. Debts that are not discharged in Chapter 7 can be included in Chapter 13. Will affect your credit history poorly and is a public record. Chapter 13 will be on your credit report for 7 years. The amount of debt you can discharge is limited. Stockbrokers and commodity brokers are not allowed to file Chapter 13. Filers are unable to obtain any new credit during the process of paying back creditors. Debts obtained due to death or injury caused by driving intoxicated or under the influence of drugs. In addition to the reform making it harder to qualify, it also made it very costly. It is estimated that filers can expect to pay over 50 percent more since the reform was passed. Since most people filing for bankruptcy don't have liquid cash, that proves to be a dilemma considering most, if not all, fees are due upfront. 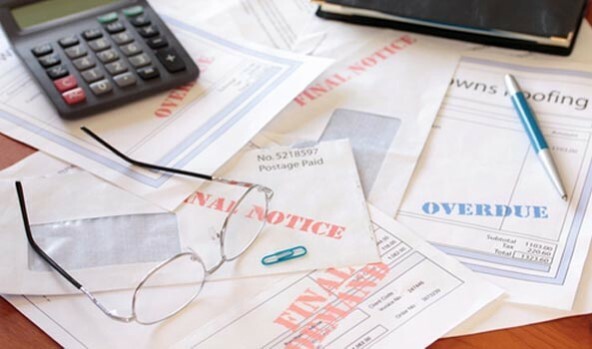 On average, a Chapter 7 Bankruptcy will cost a little under $2,000, and a Chapter 13 Bankruptcy will average $3,000.With the new reform in place, bankruptcy is proving to be a vital lifeline only to those who need it. Bankruptcy should always be a last resort due to some of the consequences individuals will face. If you or a loved one is considering bankruptcy, it is recommended to consult an attorney. As American Debt Counseling, Inc.'s (ADC) Director of Community Development & Education, with more than a decade of experience working in the financial industry, Courtney Cordero is dedicated to educating the community on financial literacy. Courtney's expertise has led to a full range of financial educational programs by assisting and educating consumers on a large spectrum of financial matters. In 2001, Courtney started her career in the debt relief industry as a Certified Credit Counselor. Courtney assumed the responsibility of working daily with clients and creditors. In 2003, Courtney launched the financial outreach programs for a 501(c)(3) non-profit organization, which included seminars, newsletters and developed an educational website. This built strong, ongoing relationships within the community, including Salvation Army, rehabilitation centers, school districts and various other organizations. Courtney's extensive knowledge of the debt relief industry, including counseling and budgeting, allows her to develop ongoing financial educational programs and workshops to benefit consumers. As a working mother, Courtney realizes the importance of teaching the youth the fundamentals of personal money management, and how future generations will impact society. American Debt Counseling, Inc is a national nonprofit 501(c)(3) credit counseling company. ADC has over a decade of experience in assisting clients with their financial needs. We are licensed in numerous states. ADC has an excellent rating with the BBB and is BSI/ISO certified. Please visit our website at www.americandebtcounseling.org.